We are continually learning and growing with our little farm. The first tulips bloomed this week and we were pleasantly surprised to sell every tulip bouquet just in time for the Easter holiday. We were also a little shocked at the transformation our tulips took once cut. 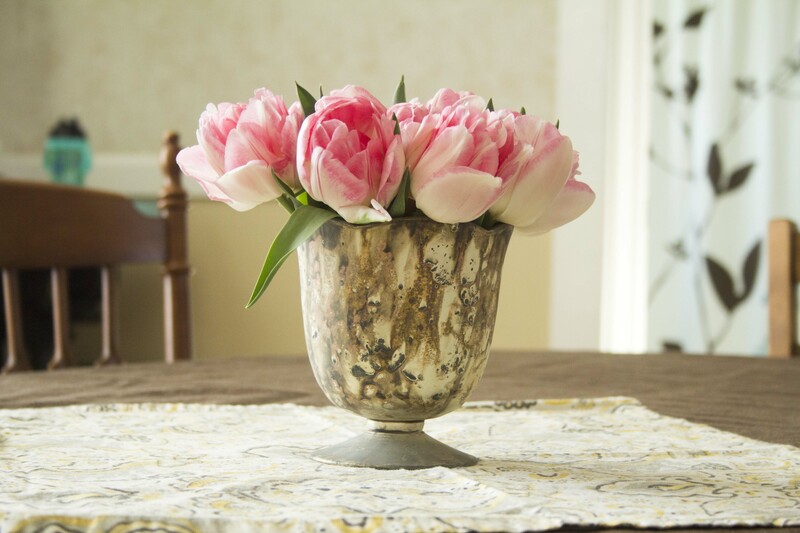 The following tulip pictures are the exact same bouquet, but in different vases. Tulips continue growing after they’ve been cut. Ours grew another 2.5 inches and turned into a beautiful dark pink. We have two varieties of daffodils that will pop open this week. Our email subscribers get first dibsies on our flowers so be sure you are on our email list. Otherwise, keep an eye out on our Facebook and Instagram pages for announcements on when and where you can purchase our flowers. The algorithms of Facebook and Instagram have recently changed, so these notifications may not show up in your newsfeed….another excellent reason to join our email list. We’ve had a few anemone survivors from the Vole infestation of 2016. And our little human played outside, consumed an embarrassing amount of sugar, and cracked open a lot of plastic eggs filled with coins for his piggy bank.